Genuine Subaru engine coolant temperature sensor fits Legacy, Forester, Impreza, and SVX models between 1990 and 2008. Includes gasket for installation. Genuine Subaru radiator cap. Choose for Impreza (RS, TS), Outback, Forester, Baja or Legacy models. Six-Star OEM thermostat for Impreza (RS, TS, WRX, STi), Outback, Forester, Baja or Legacy models. Includes gasket and has service life of 60k miles. Six-Star OEM quality water pump for impreza (RS, TS), Outback, Forester, Baja or Legacy models. includes gasket as well. 1 bottle of Subaru Genuine coolant additive. Subaru recommends this conditioner with every coolant change (usually every 30k miles) to help extend the life of head gaskets. Koyorad radiator assembly. Fits Impreza (WRX, RS, TS) Outback, Forester, Baja or Legacy models. Same as your factory original. Includes 2-year warranty. 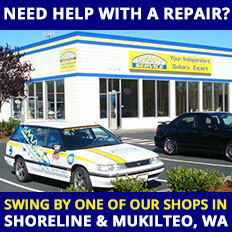 Genuine Subaru coolant hoses for cooling system repair and maintenance. Choose for Impreza (RS, TS) Outback, Forester, Baja or Legacy models. Temp out of Stock. 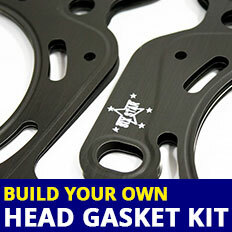 Bleed cap and gasket for your radiator. Choose for Impreza (RS, TS) Outback, Forester, Baja or Legacy models. Set includes 2 genuine Subaru radiator hose clamps. Choose for Impreza (RS, TS) Outback, Forester, Baja or Legacy models.